Joyful Birthing offers the 12-hour HypnoBirthing® childbirth course every other month in Newburyport, MA. Sessions are typically held on weekend mornings for approximately 3 hours. The series is for you and partner and can be taken at any point during your pregnancy. In addition to the HypnoBirthing philosophy and techniques, in this comprehensive childbirth education program you will learn what questions you should be asking your provider at your prenatal visits, what to expect from the different stages of labor, how to best prepare for a hospital birth, best practices and positions for optimal fetal positioning, a variety of laboring positions, how to best navigate any special circumstances should your labor venture off-course, and evidence-based practices for early newborn care and breastfeeding. Classes are taught by Ellie Lindenmayer, who brings a uniquely personal element to the class. Having used the method herself for her two births and drawing on her experiences as a mother, birth doula, and lactation counselor, Ellie will prepare you and your partner for birth with honesty, humor, and a wealth of experience in the birthing world. You will leave this class with a renewed sense of calm, confidence, and excitement as you anticipate the birth of your baby. 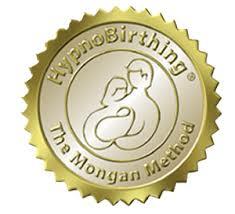 HypnoBirthing® focuses on harnessing the mind-body connection to facilitate easy, gentle birthing. The premise of HypnoBirthing® is that women’s bodies are perfectly designed to give birth and that fear and tension (not nature’s design) cause pain in childbirth and often unnecessary intervention and complication. Childbirth is a normal, healthy biological event that all mammals experience (most with very little fuss); however, we have inherited a legacy of fear and are part of a culture that perpetuates the myth that childbirth is an agonizing, painful event that we must endure and survive. As a result, many women anticipate childbirth with a tremendous amount of fear, resistance, and misinformation. But there is a much better way! HypnoBirthing seeks to re-educate women to understand nature’s design, to trust their bodies and their babies, and to silence the culture of fear, understanding that their bodies are perfectly designed for birth. If we can learn to eliminate the fear and instead approach birth with confidence and calm, then our birthing experience will be easier, safer, and more comfortable. Many couples may turn away from HypnoBirthing believing that hypnosis is just too “out there” or simply not for them. Hypnosis is merely a state of deep relaxation and focused concentration in which the rest of the world seems to fade away– a wonderful state to be in during childbirth, so as to be able to turn inward, quieting the mind and allowing the body to do what it is designed to do. Most of us experience a state of hypnosis on a daily basis, as we read a book, drive the car, or practice yoga. During class, in addition to a variety of other techniques, we use guided relaxation scripts to help you reach a very pleasant and peaceful state of relaxation, which you can then easily call upon when you are in labor. We use hypnosis in birthing to remain relaxed and calm so that our bodies are able to birth as nature intended (without our minds getting in the way). With relaxation, our body releases endorphins, a natural anesthesia, which allows us to birth more comfortably, sometimes without any pain at all. *Teaches breathing techniques that allow a woman to gently breathe her baby into the world without the hard, physical pushing, which often results in tearing and the need for sutures. The next group offering will be held in June on Saturday mornings from 9:30-12:30 (classes will run on 6/1, 6/8, 6/15, and 6/22). There is usually flexibility in the schedule, if the dates or times don’t work for you. 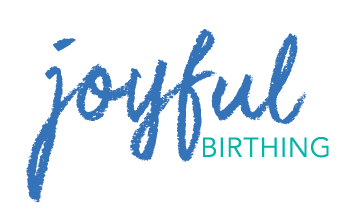 Joyful Birthing typically hosts the complete series every other month in Newburyport, MA. Private classes are always available, catered to your own specific scheduling needs. Fee includes the 300-page book, HypnoBirthing®: The Mongan Method by Marie Mongan, and the accompanying audio downloads, as well as a complete course packet, which includes helpful tips, practice relaxation scripts, important reminders, and a variety evidence-based information. Most insurance companies will provide at least partial reimbursement for this class, so be sure to check and we will provide you with the necessary paperwork. Because space is limited in each class, full payment is required to reserve your spot in the class. You may pay below via credit card (+ 3% processing fee), via Venmo to @Ellie-Lindenmayer or via check or cash (please contact me for this option). A confirmation of your enrollment will be sent once the payment has been received. Ellie Lindenmayer holds current certification with the HypnoBirthing® Institute and is an approved Practitioner to teach the complete The Mongan Method HypnoBirthing® childbirth education series.